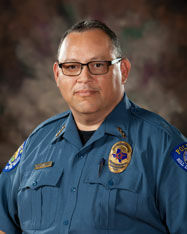 Following the election of Rio Grande City Police Chief Noe Castillo to the Rio Grande City school board last week, the chief will permanently be removed from overseeing investigations arising from the district, a decision made early on during his campaign. Castillo, along with serving as the city police chief, is also the director of the Starr County Special Crimes Unit, an inter-county task force. During one of their quarterly meetings, the SCU board — comprised of the police chiefs throughout the county, the sheriff and the county attorney — decided that any investigations dealing with the school district would be reported to Roma Police Chief Jose Garcia. Now that the election is over and Castillo earned a place on the school board, the school district will be permanently excluded from Castillo’s purview, according to Robert Caples, commander of the Special Crimes Unit. However, Caples said that Castillo was appointed to a two-year term as director of the SCU, which ends in February. The move by the board, during their Sept. 25 meeting, was made so that no one could accuse them of using the SCU for purposes of the election. Castillo noted that law enforcement agencies often conduct their own internal investigations but acknowledged that it’s more transparent when they’re conducted by an outside entity. In his new role as a school board member, he said he hoped to ensure that taxpayer dollars were used correctly and improve the status of students and faculty within the district. He said he’d thought of running for the board in the past and finally decided to run because he believed his background in law enforcement would bring diversity to the board. Castillo’s running mate, Basilio “Bacho” Villarreal, will return to the school board with his win last week over another former board member, Benito Saenz. Villarreal had previously served on the school board before retiring in 2014. He said he believed he was victorious because people were not happy with the status quo and said his mission would be to improve the academic standing of the district. For Castillo’s part, he said it would be difficult to know the exact state of the district until they are in it, but was confident that he could make a difference.